Please make sure you’re pet is microchipped and that the chip is registered. We have come across some dogs lately who have strayed and have no owner ID. When this happens the dogs are brought to the pound and there is a cost attached to reclaiming them. It’s also a good idea to get your cat microchipped. A speedy reunion with owners avoids tremendous anxiety to you and your pet in the event of them going missing or wandering off. Many many thanks to all who supported our fundraisers last week in City Centre, Tesco Ardkeen and Ardkeen Quality Food Stores. The day was a great success. We met lots of fellow animal lovers. As usual the people of Waterford gave generously and we are very grateful for the support. Thank-you to Ardkeen Quality Food Stores and Tesco Ardkeen for their support and thank-you to all our volunteer collectors. 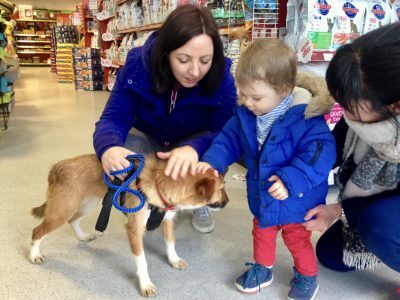 Also a big thank-you to our four legged volunteers, Paddy (pictured below) and Molly. Ar scaith a chéile a mhaireann na daoine agus na h-ainmhithe. Please continue to leave out water and food for birds. many have perished from heat and dehydration this summer. The ground is still very hard and the birds are finding to hard to dig up insects and worms. Thankfully it looks like the real hot weather is over and nature is slowly returning to normal. It’s been a difficult Summer for wildlife and they continue to need a helping hand. We visited PetMania on Saturday, July 21st along with some of our precious rescue kittens now getting ready for their forever homes. We really enjoyed meeting up with fellow feline lovers. People were very interested in the kittens and there was great interest from people interested in adopting. If you are interested in adopting any of our kittens or cats, please contact the office, 051-841432 or email us at waterfordspca.ie. Home checks apply. 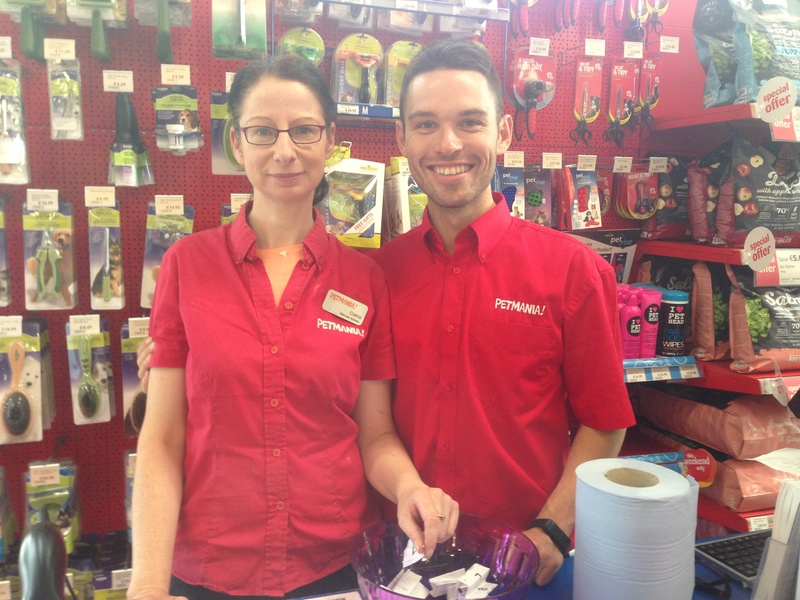 One lucky PetMania customer one a lovely pet pamper hamper – see below Harry and Carina drawing the winning ticket. 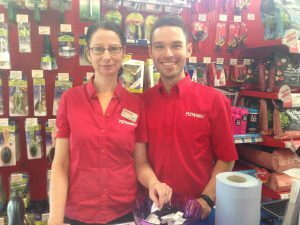 Thank-you to PetMania for hosting our Kitten Morning. We greatly appreciate your support. 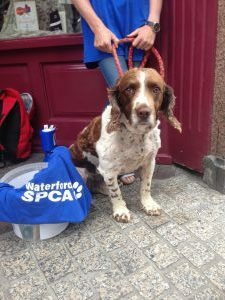 Look out for the blue Waterford SPCA volunteers t-shirts! 051-841432, 10am to 1am, Mon-Fri or send us a brief message through form below and we will get in touch. This is a fantastic way to support animal welfare in your city and county.